Today’s post has a little different twist to it! One of my Instagram ladies Dvi aka @naiidazzlee asked me to take part in a B-day mani collab for Bev of Nailed The Polish aka @nailedthepolish and of course I said yes, love Bev! We were tasked to either recreate one of her manis or do an inspired by mani, so I chose to do both. I copied one of her manis on 2 nails and then went all freestyle for the rest of the mani haha I happened to have the same polishes so it was a good match. And here is the lovely Bev! And the rest of the ladies and manis! Top R and down: @lacquerandspice, @justagirlandhernails, Yours Truly, @naiidazzlee, and @alondralovespolish. And here are muy fingahs. 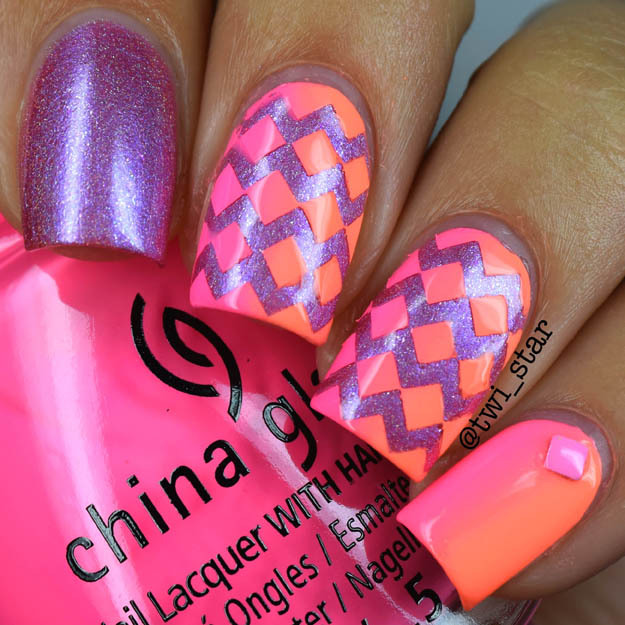 This is not a color combo I would have put together, the cremes sure, but pairing them with the subtle holo? Never would have done that but I LOVE THIS! They look so great together, really unique. 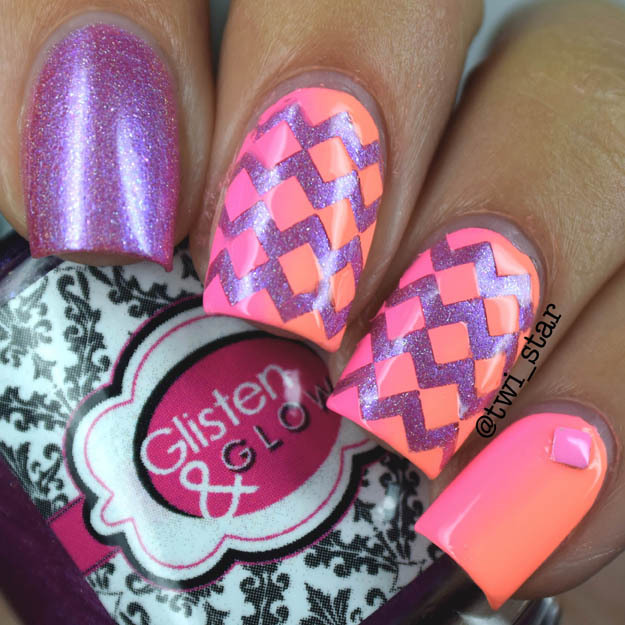 The subtle holo pink is ‘Endless Rainbows’ from Glisten & Glow. I believe I received this as a GWP during their 5 year anniversary sale. Really nice formula! It’s a little lighter than this pics are showing, blame the neons lol This is 2 coats. This pink, oh be still my heart! China Glaze ‘Bottoms Up’ has become my fav pink, it’s just really PINK! It’s a white based neon so it has a decent formula and is pretty opaque. And of course China Glaze ‘Flip Flop Fantasy,’ this is the new version and such a great color for Summer or if you’re like me whenever haha. On the pinky I did a base of ‘Flip Flop Fantasy’ and then sponged on a gradient with ‘Bottoms Up’ and ‘Flip Flop Fantasy’ and added a little stud. The middle and ring nails were the nails I straight up copied from Bev! 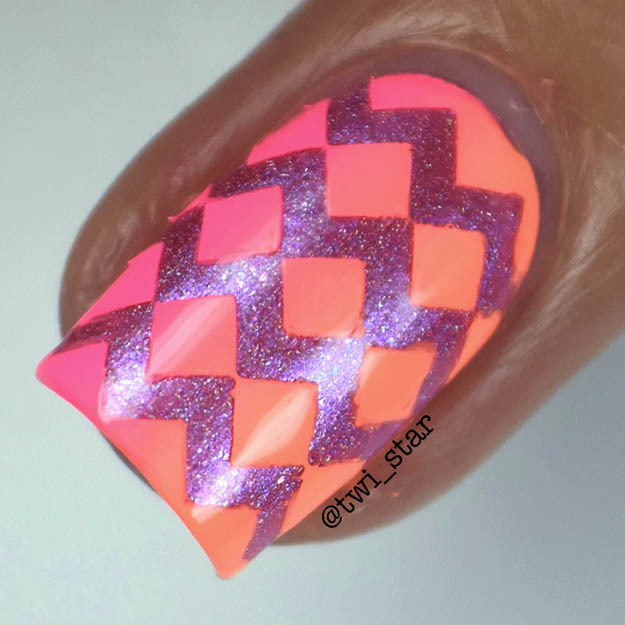 I used Twinkled T Chevron Stencils (the inside portion) and sponged on a gradient using ‘Bottoms Up’ and ‘Flip Flop Fantasy.’ These 2 polishes blended together really and I didn’t have to work much to get a smooth transition. Hope you enjoyed my mani, thanks for stopping by! 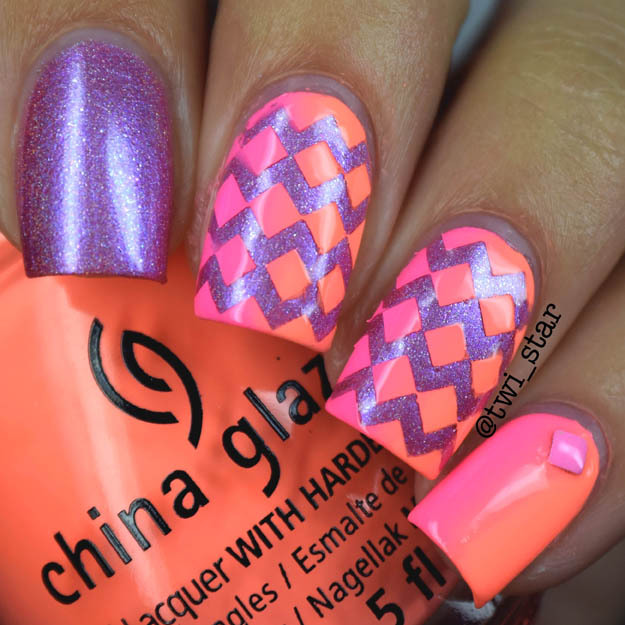 This whole mani is perfection!! That gradient is amazing. I love how many designs you can get with chevron vinyls! That looks fantastic! What a lovely way to wish a nail buddy happy b-day! Yes!! 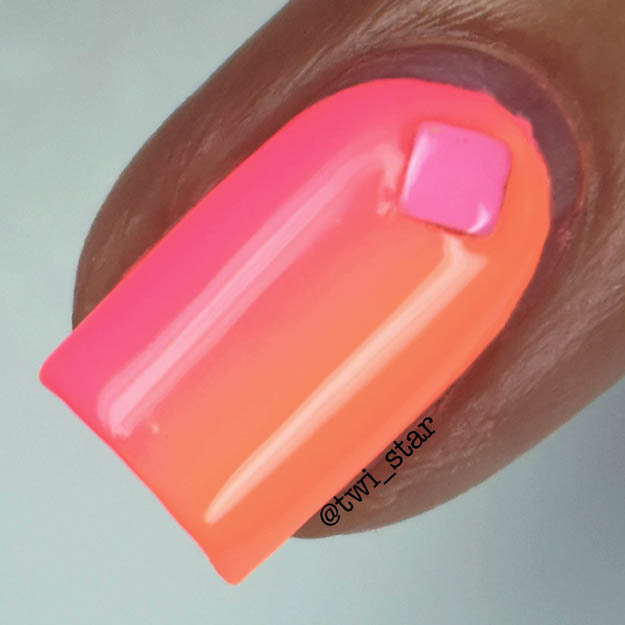 I'm all for a good neon mani! Freaking gorgeous, as always! I love the colors you picked up and your macros are always so flawless. I looove this mani, everyone did such a great job!